The sale must be approved by 29 other NBA team owners. 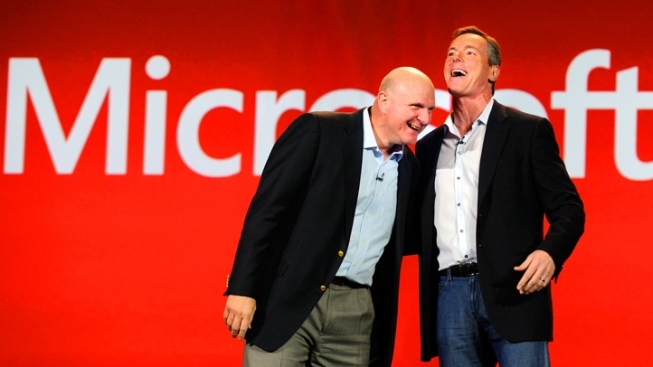 Microsoft Corp CEO Steve Ballmer (L) and Qualcomm Inc., Chairman and CEO Dr. Paul E. Jacobs appear on stage together during a keynote address at the 2013 International CES at The Venetian on January 7, 2013 in Las Vegas, Nevada. Former Microsoft CEO Steve Ballmer broke his silence Monday on his pending purchase of the Los Angeles Clippers. Ballmer said that the sale has not yet been approved by the National Basketball Association and he is waiting on the judge's final approval. "It's not my team yet," Ballmer said in an interview with NBC-affiliate, King5. Ballmer negotiated a $2 billion deal to buy the Clippers with Shelly Sterling over the objections of her husband Donald Sterling. The purchase, which would be the priciest team acquisition in the league's history, must be approved by the 29 other team owners. "It was my dream to have a team in Seattle," Ballmer said. "This was probably the best path for me to take." Last week, a Los Angeles judge tentatively ruled against Donald Sterling and in favor of his estranged wife Shelly, in the trial over whether she had the authority to negotiate the $2 billion deal to sell the Los Angeles Clippers. At issue was whether the embattled Clippers owner's wife had acted within guidelines established by the Sterling Family Trust when she negotiated the deal. Ballmer said he dreams of having an NBA team in Seattle, but said he plans on keeping the Clippers in Los Angeles.